Southampton, NY (October 11, 2018) – A collision involving a motorcyclist and another vehicle resulted in the death of a victim on Wednesday morning, October 10, in Southampton. According to Southampton Town Police, the fatal accident occurred on County Road 39 at around 7:00 a.m. The deadly crash took place during morning rush hour traffic and resulted in the closing down of County Road 39 between Sandy Hollow Road and Tuckahoe Road. Fire police were called to the scene to assist the fatally wounded victim who was pronounced dead a short time later. The driver of the other vehicle involved was reported to have been uninjured during the collision. The identity of the victim is currently being withheld in order to provide time to notify all family members. No more information has been released in regards to the cause of this incident. Authorities are actively conducting an ongoing investigation into this crash. We would like to extend our genuine and most heartfelt condolences to the loved ones of the victim as they attempt to cope during this devastating and tragic time. 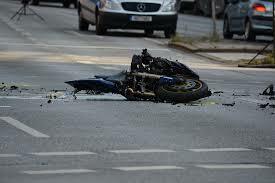 Sadly, many motorcycle accidents in New York are often fatal. As always, our New York accident attorneys believe wholeheartedly that all drivers should always be reminded to keep an extra eye out for motorcyclists while driving. As members of the community, we share our roads and we must be as attentive as possible at all times. Negligent actions are commonly the cause of these types of accidents, and they are almost always preventable. We at Hach & Rose are dedicated to fighting on behalf of victims and their loved ones. If you have lost a loved one in a New York motorcycle accident, please don’t hesitate to call 212-779-0057 today.